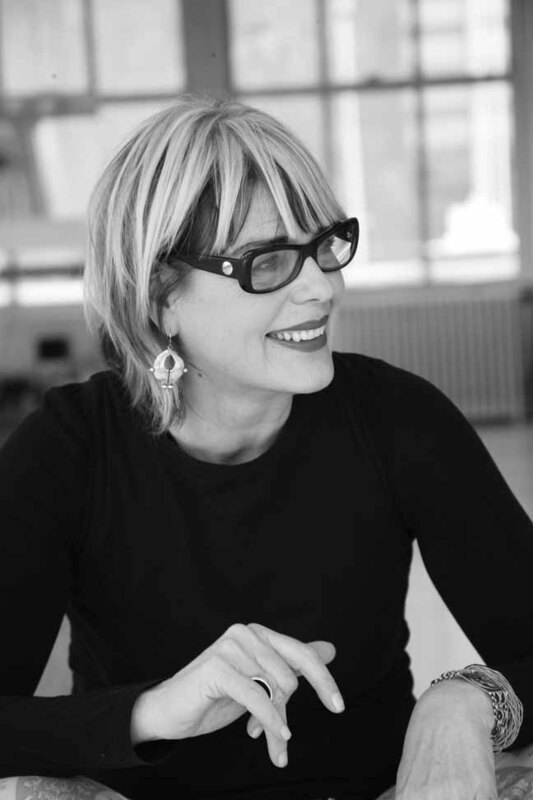 In a nutshell Mary van de Wiel is a global creative brander, educator, speaker, artist and founder of an award-winning branding and design agency (1992-2005) with offices in New York and Sydney. Dubbed ‘brand psychologist’ by Time Inc. when she led the national launch of People magazine in the Australian marketplace, today she consults, speaks and runs her signature NY Brand Lab workshops for entrepreneurs in the USA, Latin America, Europe and Australia helping them recognize who they are — so others can. Her focus? To bring more meaningful messaging, congruent interactions and emboldened creative-thinking skills back to the table. A guest lecturer at UCLA and the University of Sydney Business School’s Masters Program, she’s been quoted in Inc. Magazine, Reuters, Australian Financial Review, Reuters and Entrepreneur Magazine. Her clients include entrepreneurial change agents as well as major organizations like Viacom, Sony, American Airlines, The Museum of Modern Art, Comcast Cable Communications, Nestle Nespresso and the Macau International Airport. By way of background A Dutch sea captain’s daughter, Van lived in four continents, Venezuela, Canada, Holland and Australia, before she turned 15. It’s no surprise she learned at an early age how to scope out the horizon and interpret the invisible clues – no matter what the country, culture or language. It seemed the best way to sense her place and identity in the world, and give it meaning. No wonder she’s been dubbed business psychologist in the brand intelligence space where, for the past 25+ years, she’s been successfully interpreting the invisible clues for innovative leaders, putting their brands on the map and helping them show up (like they mean it) on the 21C new brand landscape. Devoted to transformational branding and creative storytelling, Van consults, speaks at conferences, takes her signature NY Brand Lab workshops across the USA, Mexico, Latin America and Australia, hosts a weekly radio show NY Brand Lab Radio (currently on hiatus) and until recently, she was tutoring and guest lecturing at The University of Sydney’s Business School-Masters Program and lecturing on branding at UCLA, Los Angeles. This year, she’s based in Mexico where she’s working on several creative projects, both business and design related. It’s hard to keep her away from NY where she lived for 23 years so regular trips back and forth (1:1 clients, speaking gigs, running NY Brand Labs) are ongoing. Always fascinated by the intersection of neuroscience, creativity & innovation, her work is based on this principle: Helping people recognize who they are – so others can. It’s what makes deep connections that matter and resonate with people. Her intention? Always the same: To help bring more energy, creativity, purpose and meaning back to the table. To create more congruent conversations online & offline so you communicate you are who you say you are. • In 1992, after being on the Murdoch Magazines management team responsible for the most successful launch in the history of Australian publishing, New Woman, she was tapped on the shoulder by Time Inc. Magazines to create the national brand launch for People Weekly, the first time Time Inc. had ever launched the title offshore. • With Time Inc. as her first client, she launched her branding & design agency, van de Wiel Pty Ltd.. For 13 years, she led award-winning brand campaigns for media/entertainment, Fortune 500 clients and not-for-profits. • Other clients included American Airlines, Conde Nast Magazines, Coty, Sony, Sydney Opera House, News Corporation, Magazine Publishers of America, Zurich Australia Group, Hearst Magazines, News Corp., Working Mother Media, VOGUE, and many more. • In 2007 in New York, she launched Zing Your Brand & Co., a brand consultancy. She also hosted a weekly radio show, NY Brand Lab Radio, where for four years, she talked about why some brands nail it and interviewed hundreds of thoughts leaders, innovators, creatives. Click on her Radio link & listen to any show. • Van has been featured/quoted in Inc. Magazine, Entrepreneur Magazine, Reuters, AmexBusiness Forum, PersonalBranding.com, Investor’s Business Daily, American Marketing Association, The Australian Financial Review, Marketing News and more. • When she’s not putting the finishing touches on It’s Not Enough to Be Brilliant:10 Dares to Branding, you’ll find her taking The NY Brand Lab on the road or painting large Black Line Crazy abstracts. Follow her on instagram. • Studied at the University of New South Wales, Australia, received a Bachelor of Arts, (Drama major) and a post-graduate Degree in Education and later, a Visual Communications degree at the School of Visual Art, Sydney. “Van can switch from multinational to entrepreneur mindsets in a flash – across sectors, channels and audiences but with a brand’s own story running fast through each. She has the instinct of a true marketer that shapes every story right – and a client side manner built on trust and rapport to bring it all together. I think any brand will be the better for meeting her. 3 Things You Couldn’t Possibly Know about Van. 1.) Iguanas lived in the bottom of her garden in the Venezuelan tropics. They’d often get to the ripe mangoes on the ground … before she could. 2.) Every Saturday morning on Sydney Harbor, she’d wrestle with a spinnaker when racing with the NSW University’s Women’s Sailing Team. 3.) Her trademark red lipstick of choice? MAC Cherry. I’d love to hear about your brand issues. "Van is a one-off. Her creative energy is awesome. She has great style. 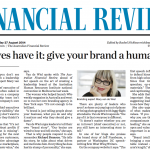 But most importantly she really understands what takes brands tick ­ both on the inside and outside in the market place."